I-74 will be expanded to three lanes in each direction with additional lanes at select locations. On Sept. 5, River Drive was closed in both directions between 23rd Street and 19th Street in the city of Moline. 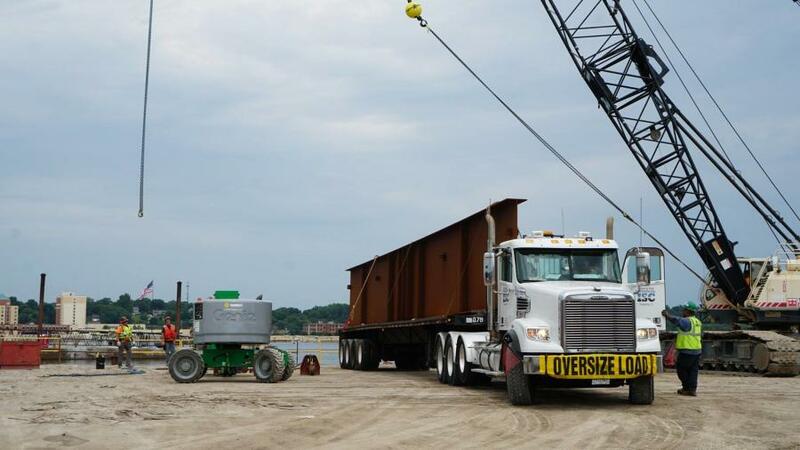 Contractors began setting the first steel girders for the new I-74 viaduct. River Drive is anticipated to reopen on Sept. 21. Access to Moline's downtown, businesses and special events were open through construction. 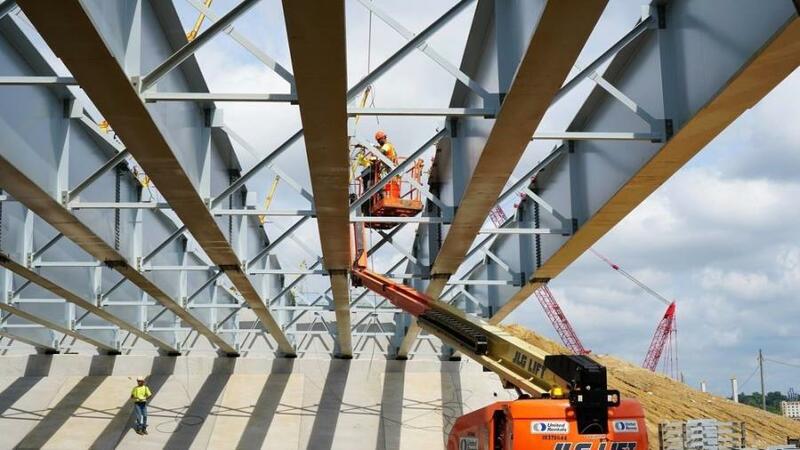 The I-74 Mississippi River Bridge project is part of a regional strategy for improving access across the Mississippi River in the Quad Cities. It includes the replacement of the I-74 bridge over the Mississippi River as well as interchange ramp reconfigurations and local roadway improvements. Construction began in July 2017 and is anticipated to take place over 3 1/2 years. The new bridge will be more than twice as wide as the existing bridge, providing four lanes in each direction. A multi-use path on the bridge will connect to paths in Bettendorf and Moline. Between Middle Road in Bettendorf and Avenue of the Cities in Moline, I-74 will be expanded to three lanes in each direction with additional lanes at select locations. For more information, visit I74RiverBridge.com.